May 2019: The Reluctant Vampire at Ohlone College, part of the Playwrights Festival, a series of commissioned new short plays produced, directed, and performed by students in the Theater Arts department. September 2018: Ohlone College commissions Eugenie to write a new full-length for the Performing Arts department to be performed by their amazing students Fall 2019 at Ohlone and beyond. Ohlone's Theater Arts program is full-on robust. Public education at its finest! June 11-15: Eugenie works on Chan Family Picnic at Arts Montalvo, Saratoga, California. May 24, 2018: The New England Foundation for the Arts announces that ECTP is a finalist for their National Theater Project, a creation and touring grant in support of Chan Family Picnic. May 27 – June 2, 2018: Eugenie is a respondent and workshop teacher at the jam-packed Great Plains Theater Conference. May 4-5, 2018: Meet the director and cast of Peregrine, the Artist, ​part of the 2018 Ohlone Playwrights' Festival! September 15, 2017: Madame Ho and ECTP's upcoming October 2017 debut at the Exit Theater and Cameron House in San Francisco is honored with the 2017 Rella Lossy Award. August 24, 2017: Madame Ho is a San Francisco Chronicle Fall Theater Pick! -- And check out what Broadway World is saying about Ho! 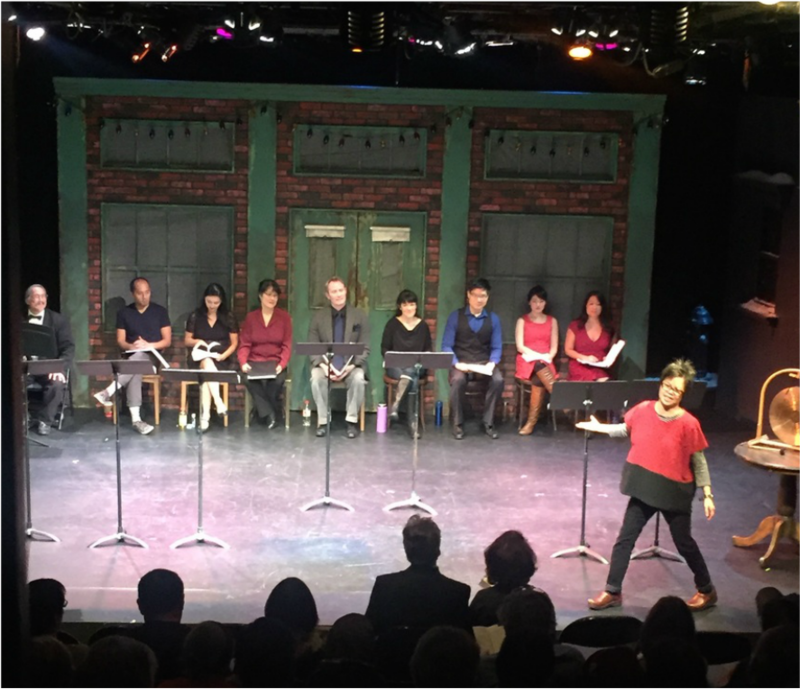 ​The Kilroys List includes the Laborer's monologue from Madame Ho in its new anthology of 97 monologues from plays by women and trans playwrights. What an honor to be in the company of these stunning writers. July 4 - 16, 2017: The Chan Family Picnic becomes a vaudeville at Berkeley Rep's Ground Floor developmental lab with Eugenie and composer Byron Au Yong huddling over computers and a piano. ​​Madame Ho premieres October 5 - 21, 2017​ ​at the Exit Theater in San Francisco's ​Mid-Market arts district. Free community ​​​​performances October 28 - 29, 2017 in Chinatown! March 24, 2017: The Chan Family Picnic has been invited to be in residence at Berkeley Repertory Theater's Ground Floor developmental lab in July 2017! Composer Byron Au Yong and I will join forces to completely transform what is now a play with music into a full-fledged nouvelle vaudeville. ​Watch out, world! ​Journey to Emeraldville, a new play by Eugenie, based on the reporting of Center for Investigating Reporting’s Shoshana Walter, about the exploitation of women trimmers in Humboldt County’s marijuana industry, has a reading at Z Below, San Francisco, May 30, 2017. Jenna Welch, Artistic Director of StoryWorks, directs. Listen to Eugenie and New York playwrights Julia Jarcho, Jorge Ignacio Cortiñas, and Deborah Stein talk about the challenges and rewards of writing and producing plays with Andy Bragen in a podcast from ​ND: In Depth. Eugenie joins the Advisory Board of Kearny Street Workshop. Rotimi Agababiaka as Superintendent Quisdedo, Keiko Shimosato Carreiro as teacher Ethel Orocuru in Schooled. Keiko Shimosato Carreiro as the receptionist Tatiana, LIsa Hori-Garcia as CEO Fredersen J. Babbit in Schooled. 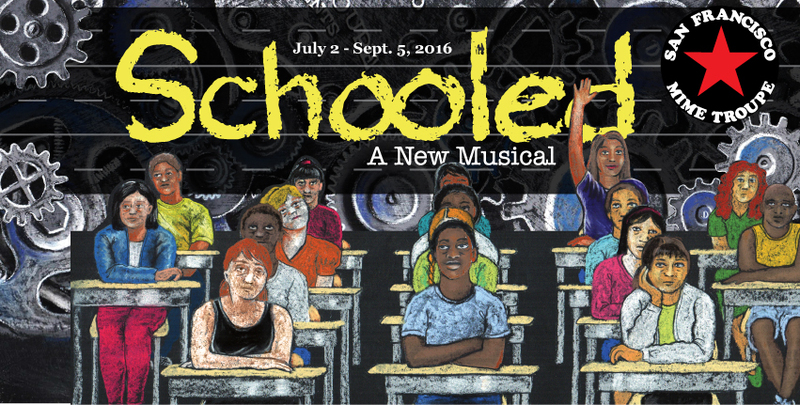 Eugenie co-writes Schooled, a musical comedy and political satire about education in America -- and the 2016 U.S. presidential election by the San Francisco Mime Troupe. July 2- September 5, 2016 in Bay Area parks. Free musical theater for the community! Radio personality Maggie Wong interviews Eugenie about Madame Ho on Chinese-language Bay Area Metro Radio. Tune your dial to AM 1400, May 26, 2016, 3:30 pm. In May 2016, the Kenneth Rainin Foundation awards ECTP a New & Experimental Works to support Madame Ho. 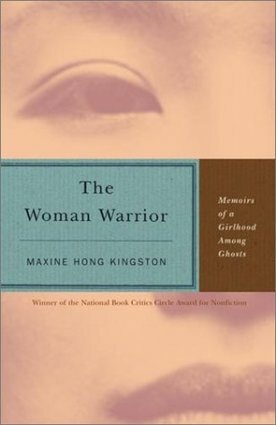 In March 2016, the Asian Pacific Islander Cultural Center selects Madame Ho's ​May 28, 2016 bilingual reading as a Sponsored Project of the United States of Asian America 2016 Festival. In January 2016, arts executive​ Marcy Straw joins ECTP to share her expertise! Sonia Fernandez, Hilary Flynn, Loretta Greco, Kelli Crump, Eugenie, Ellen Abram eat cake from the Kilroys at the Magic. ​The Kilroys send a cake to the Magic Theater celebrating their 2015-16 Season of Women Playwrights. Eugenie is commissioned by StoryWorks/Tides Theater to write a play in collaboration with the Labor Beat of the Center for Investigative Reporting in 2016. ECTP is founded and becomes a Core Member of Intersection for the Arts in 2014. ​Eugenie co-founds 6NewPlays with Erin Bregman, Christopher Chen, Barry Eitel, Andrea Hart, & Brian Thorstenson.